Tutorial : How to make a DIY Star Wars Rey Staff on a budget. 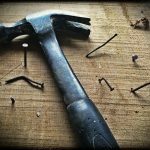 Read my step-by-step guide on how to make Rey’s Staff from Star Wars on a budget using plumbing bits, cardboard, telephone cable and spray paint! 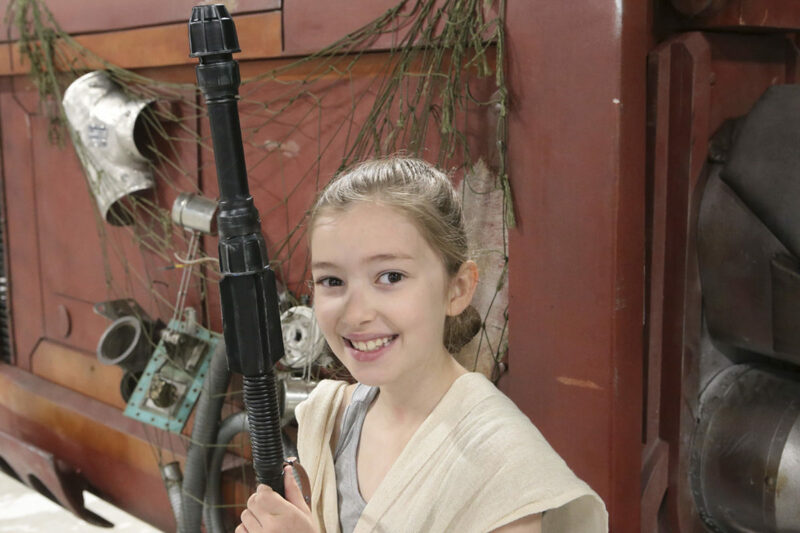 How to make an awesome DIY Star Wars Rey costume on a budget. 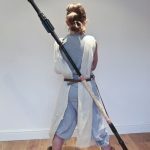 Read my step-by-step guide on how to make a Star War’s Rey costume on a budget with the help of a dust sheet, some bandages and a Primark vest! Simples! 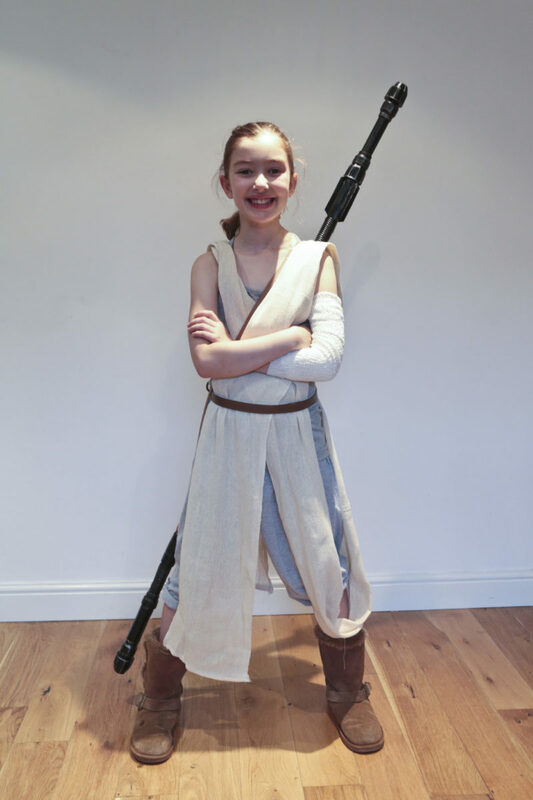 I make a DIY Star Wars Rey costume for Emily’s convention adventures. 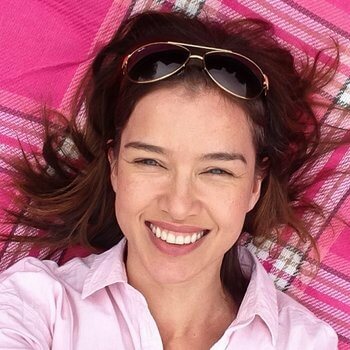 Find out about Emily’s visit to her first convention, The Film and Comic Con Manchester and why I’m relieved she decided to go dressed as Rey from Star Wars: The Force Awakens.